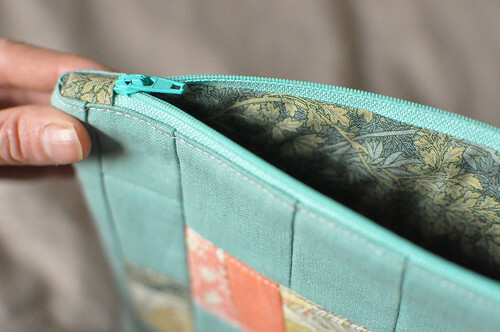 Here’s another version of the Perfect Zip Bag, the pattern is by Elizabeth Hartman. 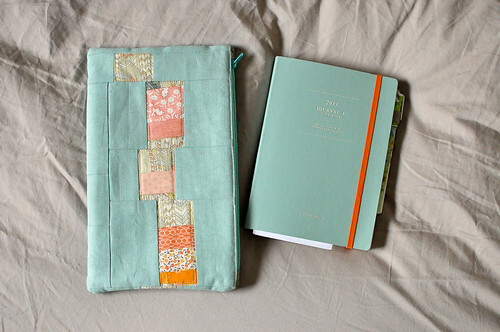 This is based on Style B, but I had to make size modifications so that it would fit my 2013 agenda. I based the colour palette on the agenda, which must be my colours for the year, since my new wallet is somehow matching. Once I had determined the size for the pieces, I made a few improv patchwork pieces that fit the dimensions. I made a few mistakes with my calculations initially and had to add on a bit here and there, but since it’s all patchwork, you’d never know that. 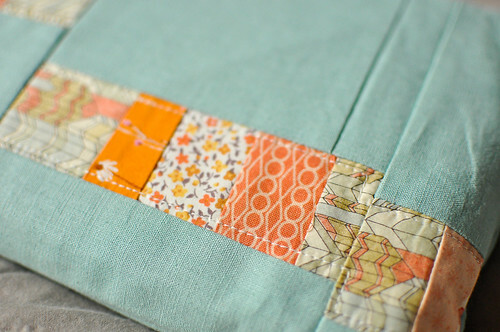 I’ve been missing my Sunday Patchwork routine for a while now, so I’m trying to find a way to get back into the habit. This year I’m also trying to balance electronic organization with good old fashioned pen & paper. I have a bunch of good apps that I use to make lists (Things & TeuxDeux) and I just added MailTags to my Mail program to help tame my inbox. At the end of the year, it’s nice to have an agenda filled with notes and lists and little bits of memories. I’m making an effort to write things down, especially personal stuff and it feels nice to have that back in my life. I seriously love your zip pouch! I think I need to make one now! 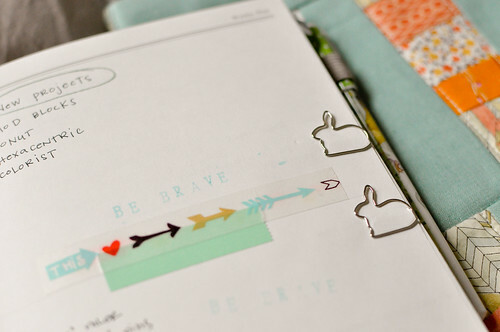 love the bunny clips. 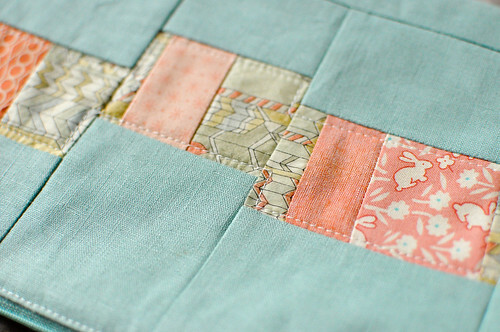 Do you know what the orangey red bunny and flower fabric is? Cool patchwork. 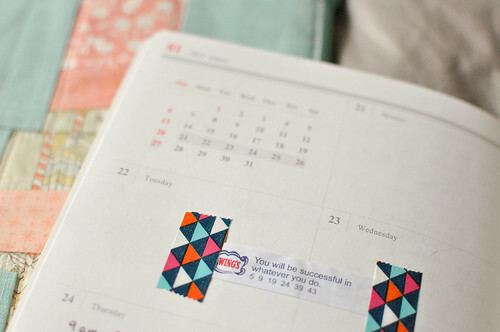 And I love the triangles washi tape. Where did you find that? What kind of planner is that? It’s so cute!